ROAD TOWN, Tortola, VI – “There are many cases where persons may have come to the BVI and they may not have become a BVIslander, but live in the Virgin Islands and went through the school system and so I think as a country, as a people, we could be sympathetic to persons who fall in that category,” said Premier and Minister of Finance Dr. the Honourable D. Orlando Smith. He made the statement while speaking at a press conference yesterday July 8, 2014 where he was responding to questions put to him regarding residents’ concerns about Bregado Flax Educational Centre Secondary Division (BFEC) Valedictorian Jolyn JnoBaptiste being offered a Government scholarship. This had been proposed by Minister for Education and Culture Honourable Myron V. Walwyn at the Bregado Flax Educational Centre (BFEC) graduation ceremony on July 3, 2014 and he said he would have been seeking Cabinet’s approval. Premier Smith dispelled the notion that the decision was a political one by his Education Minister. He described the move as a normal one. "I know my Minister Walwyn and other members of the public have had similar views and concerns about that matter for some time. I think that we all live here together as citizens and residents and it is our responsibility as a Government to look after the educational needs of our citizens," said Premier Smith. But some residents are insisting that something is not right and precedence may be created. They said that the last time a similar move was made for a child who is not a citizen of the Virgin Islands it was some years ago and that child was the sister of this year’s Valedictorian. “There were others across the Territory that got Valedictorian but no one found heavy heart and went out on a limb for not one of them… something is amiss. It’s only with this particular family and this is what is making this whole thing not look good… What set this family apart from all the others who have come here, toiled and are still toiling and paying taxes here?” asked a parent. Others said that since they feel that the child in the centre of this issue stands to be hurt the most they would rest the issue but insist that the government revisit how the proceed with the matter. “I am here for almost 20 years and my child is taking that examination next year… I say no more…that family is not here as long as I am, OK,” said another. VALLEY, Virgin Gorda, VI – Residents of the Virgin Gorda Community say that they are not comfortable with the recent move by Minister for Education and Culture Honourable Myron V. Walwyn to offer a government scholarship to the valedictorian of the Bregado Flax Educational Centre (BFEC) contrary to law of the Virgin Islands. “If next year the Val (Valedictorian) happens to be a child that does not fit the legal requirement will the Minister heart be heavy again, I doubt,” expressed a teacher of the school. “We want to make it very clear from the onset that we are not in any attacking that child, her parents or anyone close to her, we love that child but what we are upset about leaders of this country using her as a political toy, we don’t want that,” said a resident of the Virgin Gorda Community. Similar sentiments were expressed by several other residents of the community including parents and teachers of the BFEC. The issue arose when Hon Walwyn on July 3, 2014 made the public statement of his ‘heart being heavy’ as the Valedictorian Jolyn JonBaptiste not being qualified for a government scholarship as she is not a ‘Born Here’ or citizen of the Territory. “The Minister heart got heavy conveniently and he knows that we know how come his heart suddenly became heavy suddenly, suddenly on this occasion, Mr Minister do not play your political gimmicks, we are no fools, you saw the reactions by certain persons when you said what you said you are going to do,” said another resident. Hon Walwyn told residents at the school’s graduation that he intends to seek Cabinet’s blessing to have the child offered a government scholarship. One senior leader in the community of Virgin Gorda told admitted to this news site that he is employed with the current government and has been an ardent supporter of the National Democratic Party (NDP) even before they ascended to the seat of governance following the 2011 general elections. “They will know me by my statement but I have to right the wrong; it’s like loving your child but having to correct them when you see them going in the wrong direction. That what the minister is doing is blatantly a political move and it should not be, what goes for one goes for all,” said the concerned man. He noted that it would have been more comforting to hear the Minister say he was going to go into his personal purse to sponsor in full or in part a scholarship for the child so as not to create what may seem as precedence. The residents said that it is not the first time that a child who was not a citizen of the Territory would have topped the school at the school leaving examinations. “Those parents accepted the fact that they could not get that scholarship, they did what they had to do for their child, they accept the college privileges because they knew what the principles are,” added the man. With such a move residents say that they would soon be hearing of ‘hearts being heavy’ to offer citizen rights when it come to other aspects of societies including flexing work permits, giving citizenship, land ownership rights. “This [is] going to create a serious precedence Mr Minister… channel your ‘heavy heart’ kindness differently, there are many other ways you can assist but do not manipulate using government, it’s not right, it’s not right, it’s not right, we smell the dead foul and it is rotten stink. Do not do this to us,” continued the man. “We hate that it may appear to some that we envy the child or do not love her because she is not from here or we have something against her mother who is very close to the school and the BVI education system but that not the case. We are a smart people and we can see where this is going. If a move is made to have the legislation amended to allow the all Valedictorians no matter where they are from to qualify for the government scholarship it would come over in a more objective light,” said the community leader. Its so funny that he would seek cabinet approval for her but the brilliant young man from Purcell who graduated third over all last year gets no kind of help to fund his education at all...he was born in STT for medical reasons...this does not add up Minister.. Being born in STT does not prevent a child from claiming VI rights unless the parents are not from VI. Everyone has choices to make when it comes to citizenship. Maybe US seemed better than VI at the time? We all have to live with our choices and health over citizenship is a 'no-brainer'. You made the right choice and God has your back. Let it go. Nobody complained when Hon Fahie did the exact same thing years ago. You guys memory is soooooo short. She and her parents will have to sign a bond where she will be obligated to return here to work for a certain amount of years. I never remember Hon Fahie doing that. Yes, Fahie did it and it was for her older sister who received a scholarship to go HLSCC. Maybe it is true,but the sister is now off to Jamaica to do a degree in Architect,and where did she got the scholarship from? Not the BVI,but from her hometown of Dominica,and will she go when she is finished,it is not the BVI,because she is obligated to give back to her country. We can't get the born here who are bonded to come back now we must pay for those who have no ties and hope they come back. Why don't the parents and the young lady take her results to the country they belong to and apply for a scholarship there. We have students born here, leave here, go to school somewhere else and when they want a scholarship don't they find themselves right back here applying. I told ayo that these island people only looking out for each other. Thats why them should've never been allowed in our politics. @Son of the Soil- I will say Amen to that. To top it off we the true Virgin Islanders have now become a minority in our own country. "Who don't hear will feel." And who u being a minority too? Things some of we should study we dont study.I will tell u this the island man is not the one we should worry about, u need to look around and see who taking away more from this country and it seems like no one is paying attention,say no more. If 65 percent of your population is not from here does it not say that those who not from here paying more into the government coffers than the born here? Just a question that answer it if you can. The Caribbean is a chain of islands minus Guyana which is in south America. Cuba is the largest of the islands so tell me where does the BVI fit in this Caribbean as it comes to size. Quite a few love this insularity, small minded script to spurt your ignorance. Deal with the question you seem to be intelligent enough. You are aware that expats who are in majority pay majority of of the taxes , right. Pays the majority of what taxes. When they work on the weekends for people and collecting more than their week pay, how much taxes do they pay? I am sure all the money goes to Money Gram and Western Union. So dig yourself and your facts, JACK! I am happy to see the residents did not buy it to this politcal scam...While some were jumping and rejoicing after he made his remarks, they had the time to sit and think about what he really said. If he wants to help the child, go in you pocket and assist. You're digging the hole deeper and deeper for yourself. Pure desperation on myrun's behalf. I truly admire this government minister for the passion with which he discharges his duties, in the interest of the entire Territory. I think, however, that the granting of a BVI scholarship to this student, although she worked hard, would be the opening of an enormous Pandora's Box. Case in mind is the link below, which gave our beautiful islands (and people) more adverse publicity than was warranted. I, therefore, implore the minister to be careful what he asks for, and to think carefully of the repercussions that would no doubt result from his well-meaning actions. They may just come back to haunt him! We do have to set a presidence, I have no problem with a BVI Scholarship but not international! BV Islanders or Belongers cannot go any where else and get a scholarship. How many of our children are born in the US and when they go to college and live here unless you have strings you have to pay the full amount. How can we build up another man's and over ride your own! also I think it was also a lack of disrespect for the minister to bring that up before he even asked his Government's approval. Let her have the Local one but not INtl. This poor minister is going to have to do so much back pedaling before the next elections that if he dont look sharp he will die from exhaustion. People it is no use trying to give advice you are only fuelling the fire. We all know that politicians love to play on people's emotions and this was a prime time. I personally know the Jno Baptiste children and bear them NO ill will, but we have to be careful when we express our sentiments so openly. Government scholarships come from the public purse. We have given a free secondary educations, why should we do the same and give a free college education? The parents are aware of the situation long before exams. What ties do expatriate children have to say that after receiving a free college education they will return to the BVI? How many times must we be kicked in the teeth before we learn? I am all for giving one his/her dues, but be careful how you spend taxpayers' money. Yes, her parent pay taxes too, but taxes are used for roads, education, health and a myriad of other things, so don't write stupid comments about her parents 'pay taxes too'. The BVI is a small place and we must be very careful about how we use our resources. Whether a student is valedictorian, salutatorian or rank high in their graduation class, I do not agree that they should be granted a Government scholarship, if they have no status in the territory. I do not know of any Country that does that. We are a small territory with limited resources. Our aim should be to education our citizenries so that they can make their contribution to the growth of our territory. We already have difficulties getting some of our own citizens to return after they have studies abroad, it would be worse with persons who has absolutely no ties or sense of belonging to the territory. This would not be money well spent. I want a schoolarship where can I get one? Go to Min. Walwyn. He has a heavy heart these days so you just might get lucky. She is not a national and cannot qualify for a national scholarhsip neither outright or on application. If she had qualified she would have received one autormatically as valedicatorian. These are the things that cause controversy. While the Minister means well by the youth, he also allowed his heavy heart to put his colleagues in a funny situation. What now if they were to vote against his proposal, some may say they are no good or not fair. Hon. Minister, next time consult first with your colleagues. Any and all country or nation is responsible for the well being of their NATIONALS. Be it jobs, education, health, etc. While I am in no way jealous nor bias of anyone especially those in this case, I think what this Minister has done is wrong. He should have given her a scholar to HLSCC as the former Minister had done for her sister some years ago. I think what our Leaders need to learn and understand is what differentiates a citizen from a resident as far as benefits or entitlement. I am in no way prejudice, racist or dislike any one. I just call it as I see it. There is more to getting a Government scholarship than simply signing a bond. There were many students in the past who signed bonds did return, only to find out that they could not work because of their status. Some even demanded that Government give them statusn or they would leave and not pay back anything because they could not work with their status. And leave they did leave. To avoid this sort of entrapment of the Government, just dont give scholarsips to non-nationals, period. I agree with you one more side. No scholarship for non nationals. The Minister believe that this is church where you pay ten % and give back because he have the title minister. Well you will be bottoms up, back, and out of office soon for playing with the emotions of our people to score political points. Myron myron myron he gots to go! I cannot go to Barbados and get a national scholarship, their national scholarships are for their nationals only that is their law. Why can't we maintain our laws. I don't know what Myron was thinking there. The issue is hard but it is hard everywhere. I studied in Florida with 3.8 and above GPA and could not qualify for US scholarships or financial aid. It is what it is. I am out of high school nearly 25 years now and this issue was present from back then. What do we say to all those persons who could not qualify then and what about all those persons to come in the future. Unless there is a formal rule change (and I dont see how that is possible easily without a territorial referendum), this is a bad precedent to set. The national scholarships have long meant to be for nationals and that is not a little decision to mess with or even stir up on the proverbial eve of another election. I am a Barbadian and, actually, you are wrong about that. Non-Barbadians cannot be awarded a "Barbados Scholarship" and so cannot hold the title of "Barbados Scholar", which is a very prestigious award, but they can be awarded other scholarships. Barbados' Education Amendment Act lists the criteria for those who can be awarded a bursary, grant, or scholarship, a list which includes, "a child of a person who is ordinarily resident in Barbados and has been so resident for a period of at least 7 years." Go online and read the Act for yourself! BVI don't have any of those other scholarships, bursaries etc. The scholarship at issue here is the BVI national scholarship, which is only to be held by BVI National Scholars, same as the Barbados Scholarship. That is the comparable here. This is where the private sector should come in in the BVI to assist the Government with these areas where there is merit but the system is handicapped due to the definition of a national. I am not against anyone obtaining a scholarship, especially if they worked hard; HOWEVER, Myron needs to understand that we cant go into anybody else's country and be granted the same privilege. We have locals begging for scholarships at this very moment. We are to look out for our own before we look out for the rest. The others may not have been the Valedictorian, but they SUCCEEDED. What did you give them?? The locals have become a minority in their own country and this is wrong. NO WHERE else in the world would you find a Government who looks out for outsiders rather than their own. Mr. Minister Sir, while you are at it why don't you give at least five (5) scholarships to five (5) youth from th unemployment bunch so they may use them for Health studies and return to their homeland to service the new Hospital so we can see some familiar faces in there? I voted for this man in 2011. I am now afraid that he might soon ask for all the prisoners to be freed. He might repeal all the laws on the books. He has already freed his brother. This is the straw that breaks the camel back....I will NOT VOT FOR ANY MEMBER OF THE NDP. they are slowly but surely selling out our country. You think as a BVIslander I could get up and go to any of the other Caribbean countries and get one of their scholarship? No! These other countries scholarship money is used only for nationals of the country. The BVI is going through financial difficulties we do not have money to waste. Let her go and apply for a student loan. This is what I said when NDP got voted in. They are not for locals. You put a set of island man in there, what you expect? Mr. Premier, Sir, you better 'bell that cat' The people have spoken. Our national scholarships should go to Virgin Islanders. Myron Walwyn needs to stop behaving like a loose cannon or it will cost you darely in the polls. Can you imagine Myron Walwyn breaking the policy to give an expatriate a government scholarship and a BVIslander who won a scholarship outright he is refusing to give it to the person. God up high but he looks down low. Walwyn who god bless let no man curse. A island girl who used to live longbush got a doctor's scholarship once before and never passed back to the bvi...them island people are very ungrateful. I love how some hypocrite think. This young lady out performed her peers, she's not the first and will not be the last God forbid. It is amazing that many of you would not reward her achievements by giving her what is due for the excellence she's shown and would use some relic of a law to keep her down. It seem that if from 1-10 is not from here no. 11 to 200 should be rewarded for doing barely passing. What utter rubbish. But this seem to be the way people like it, work very little receive the grand reward. By the way when these from there people go out and get recognition some of you hypocrites will be first to be shouting and hailing another product of the BVI what utter hypocracy. @gregra - your navel-string is obviously not buried here. Before you started writing crap you should have checked to see how things of this nature are handled in your country. In every country it is the same "look out for your own first". Since you have no respect for the laws of this Territory I strongly suggest that you catch the next flight out and don't pass back. Government scholarships in any country go to help nationals. In some places she would not have gotten the title valedictiorian even though she had the grades. It is time to stop hurting BV Islanders. One now sees the mistake of allowing non BVIslanders to run for political office and also those who were born in the territory to parents when neither was or is a Virgin Islander. If the politician is willing to break the laws what example is being set for our youth? One must be very careful how taxpayers of of the BVI money is used. Take care of your own first. If the minister is willing to help which I know he is, he should consider helping from his pocket. I went out on a limb in 2011 and voted for MVW thinking that he could make a difference. He is making a difference alright by messing up the system. Mr Premier you were asked two years ago to bell that cat but see you don't have the balls to do it but don't worry come 2015 we shall bell that cat. As a matter of fact we have eight cats to bell. Miss Brown, because "one" island girl is ungrateful, all are? If it is so, a bunch of your bvislanders are just the same! I am amazed and appalled at how our government is so accommodating to everyone of every nation here and want everyone to have equal rights. Aren't they aware of how protective our Caribbean brother and sister nations are of their citizens on every level. Not because the VI is small we travel abroad and have experienced what it is to not have the same rights in another country. Marry a Kittician and move there and see if you as spouse can work there? Hell to the no he or she can't. You can't get a national scholarship there either or anywhere else for that matter if your mot a citizen of that country. Stop playing politics with both BVIanders and non-nationals. Stop giving away our rights. No country is doing it to their people. Stop doing it to us. It seems like this government like to promote, fuel and create tension among Nationals and expatriates. That is all these types of moves are doing. Stop trying to make everybody equal. Now I too have a heavy heart as the reasons for having national pride as a BVIslander is quickly being erased. We are already a minority due to no type of immigration control whats -so-ever. Why so hard-pressed to make us feel like being a BVIslander and preserving what our forefathers worked so extremely hard to protect and preserve was in vein and worthless? Give the Valedictorian a local scholarship if u like but not a national scholarship. Based on my knowledge, a national scholarship means provision for one year at HLSCC and $20,000 per year for three years abroad. That's a lot of cash. Im not against her receiving a scholarship.....but seeing that this class has made history (THE GREATEST NUMBER OF BOYS TO GRADUATE FROM BFEC), why couldn't the Minister offer these boys something since we're constantly saying that they are falling through the cracks? To spend $60,000 plus on a non-local seems to be a bit unfair. Give something to those young men who proved to us that they're on the path of excellence! This is an insult to them. Go back to the BVI High School Class of 2006 and see about those 2 LOCAL students in the top tier that EARNED their scholarships outright and to date cannot receive their National Scholarships; however this same NDP Government wants to dish out to a non-national a national scholarship. Where else in our Caribbean islands this happens? No where else! Come 9th November, 2015 instead of hearing: Smith, Walwyn, Skelton, Christian we will hear: Stoutt, Vanterpool, Wheatley and a different Smith. BAM! BAM! BAM! BAM!!!!!! YOU go ahead and report now and WE shall decide then. That's a FACT!!!!!! I don’t know if it is political or not, but another student who was Sal at another school, did not receive a scholorship, because she is a non belonger. 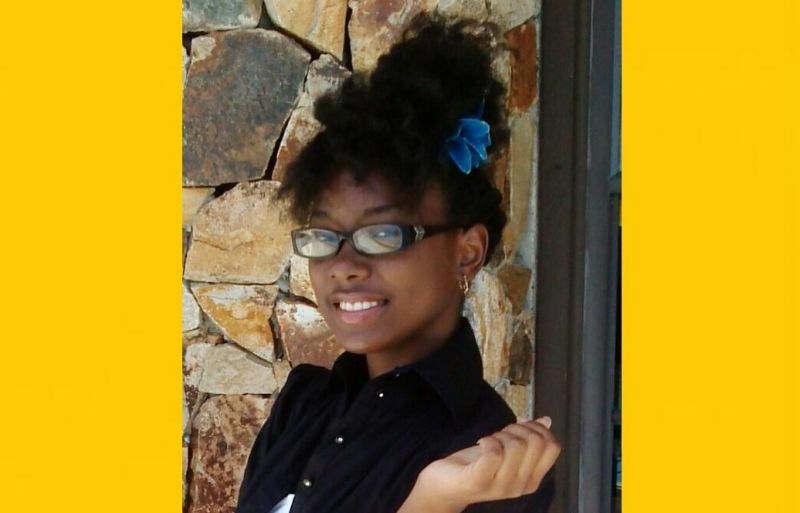 Her GPA was higher than Miss Jno-Baptiste, as she was in the top 5 overall in the country. She also went through the school system from Stage 1. I understand why this other student wasn’t given a scholorship, but this is now totally unfair to her. SOB that is all I have to say. Mr Minister why haven't people who are going away to college get any call as to whether they gutting their scholarship or not. Do you all really care about the ppl of the Virgin Islands? "Concern" I agree with you they don't care about Virgin Islanders. Their SOLE purpose is to please everyone else. NDP, you need to give scholarships to all non-national students who have emerged as top achievers. After all, you guys have heavy hearts so show compassion and impartiality. Any and everything now happening in this country, the ndp is breaking the criteria just 2 benefit other ppl who not qualify under the law. Like demeaning our Immigration officers because the chief is not an ndp. They want 2 interfere and curtail the chief from doing his job this is political interference and breaking their own laws by depriving BVIslanders of their scholarship and now wanting to give 2 ppl who donot qualify. Myron u taking it 2 far n dr. Smith can't disagree, it is political n we have do something bout it @ da pole on ED in 2015. No Development 4our Ppl (NDP) must go. While I get it and think this move is a great gesture... the truth for me is that I don't understand why ppl get up in arms about not having access to rights and privileges if they are not citizens or belongers. It doesn't matter that you go to school here or you "grew" up here. I lived in a foreign country for many years and I had to suffer through a lack of access that my peers had to many things; but I understood because I did not meet the criteria. Eventually I had to make a choice. Do I stay there and work toward getting sponsorship or return home and partake of the rights which I am due. That's why I live in the BVI today. It's not unusual... I didn't enjoy it but I understood it. Premier Smith and all the others ministers full of nonsense. Do you think as a Virgin Islander that I can go down to St Kitts or St Vincent or any of the other caribbean countriies and obtain a scholarship. Virgin Islander it is time to stand up, stand up a fight. These people married to outsiders there is where the hearts lies. Premier Smith, Walwyn and other ministers, Do you think as a Virgin Islander that I can go down to St Kitts or St Vincent or any of the other caribbean countriies and obtain a scholarship? I have posed a question gentlemen and lady. The same way the abusers of the treasury should be reined in....!!! You bloggers are so ridic yes she is not from here but just the same way we pay taxes her parents pays taxes and their work permits to work here. So its fair to give her a scholarship she was top of the class. At least they are making her sign a bond to give back to the country. You ppl just always trying to treat the ppl from down the islands so mean. The taxes that her parents have paid thus far helped to pay for her free primary and free secondary education. She is entitled to no more as they obviously have no type of status in the VI. Let the Minister pay for her tertiary education out of his pocket since he feels so heavy-hearted towards this student. Everyone has the choice to stay in their native country or come to mine because they don't want to stay home and build up their own. So we give you an opportunity to come to the VI and work to help yourself. We don't force you to take the trade-offs that you choose to when moving here. Most of you use us as a stepping stone to get to the US and talk so badly about this country that you chose to come to. Look you now the rules and you decided to live here. Yes you work here and pay taxes, and if I worked in Dominica I would ay taxes there too. Does that deem me to have the same rights in Dominica as you? See me in Dominica demanding what you want to demand from us here in the VI. You yourself would not have it. Just be fair and move on. Many locals have to pay for their education. I'm not moving to Dominica, maybe you should have stayed there. The energy of hate and bitterness that is coming out from these comments are APPALING- Yes one cannot come into a man's homeland and expect the same treatment but there are ways of doing and saying things. What is wrong with putting a policy in place to educate a teenager for a specific period and let them sign a bond to come back and serve the county if that person is not a belonger but have gone through the system and emerge on top. Perhaps the person can well contribute significantly to the growth and development of the country. We are killing our own Caribbean people while we allow the White man and the others from Aisa to slowly steal away the land, the jobs, the business and killing our own African brothers and sisters. What a PEOPLE.